Prevent flat spots on tires during storage! If you store your vehicle for any period of time, you need Flatstoppers! Simply park on the Flatstoppers Tire Supports and they will cradle the natural curve of the tires to prevent flat spots. Flatstoppers Tire Supports are easy to use, they do not slide, and they are safe on the garage floor and the tires. If you store your vehicle over the winter, for example, you know that the weight of the vehicle can cause flat spots where all that weight is pressing against the floor. When you drive your vehicle again, these flat spots can cause a rough, noisy ride. Flatstoppers Tire Supports work by cradling the tires and distributing the weight of the vehicle over a larger area of each tire. Because Flatstoppers are curved to match the curve of the tires, the weight of the vehicle is not pressing against a flat floor. The weight is distributed over the Flatstoppers’ curved shape, and therefore the tires retain their shape. Flatstoppers Tire Supports are lightweight, movable, and durable. They easily support the weight of any vehicle. Best of all, Flatstoppers do not slip and slide! They stay put while you slowly drive your vehicle onto and off of them. Flatstoppers are made of a temperature resistant material that does not conduct heat or cold from the garage floor to the tires. Flatstoppers Tire Supports will not damage the floor or the tires in any way. In fact, Flatstoppers will keep your tires in the same shape you left them, even over long periods of storage. If you store a vehicle, you need Flatstoppers! Flatstoppers Tire Supports are the easy to use, safe, and practical way to prevent flat spots on tires during periods of storage. Please allow 5-10 business days for delivery. Item ships via ground service. Expedited and international shipping are not available. 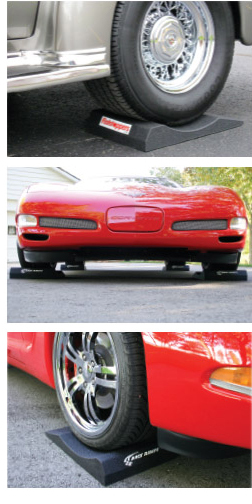 After an exhaustive and inconclusive search to determine if the "run-flat" tires on my Corvette would be susceptible to developing flat spots after being stored for the winter I bought the Race Ramp Flatstoppers. 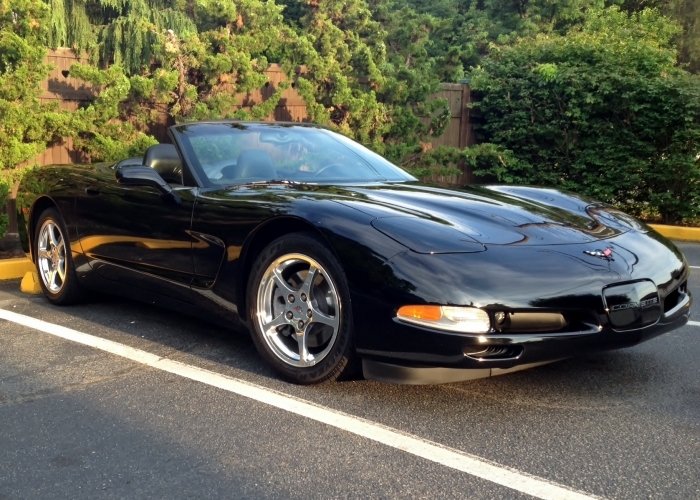 Even though my research did not produce a preponderance of reports indicating that "run-Flat" tires where any more likely to develop flat spots then conventional tires dureing long term storage I figured the cost of a set of four Race Ramp Flatstoppers was far less expensive then replacing even one of my Corvette's tires. And by the way, these ramps are low enough to drive right up on without any extra ramping. 5 STARS. ProsLight weight - drive on simplicity - takes the worry of flat spotting out of the storage issue. Cons A bit pricy but still way less costly then even one flat spotted tire. PERFECT Gift for my Husband!!! Sturdy, heavy duty, easy to use.